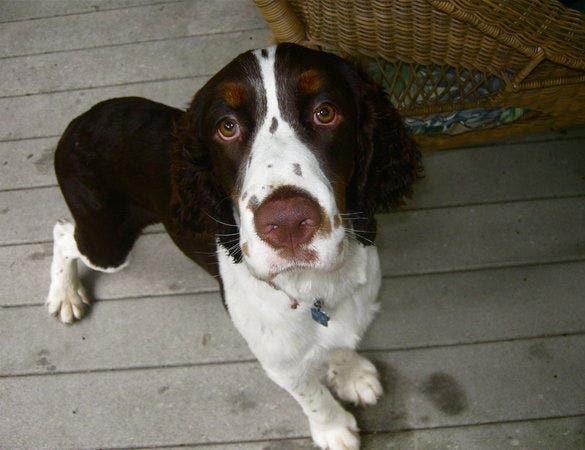 There is a big population of people that are ardent dog lovers. Many are so keen on having dogs as pets, they bring abandoned dogs into their home and adopt them as their own. 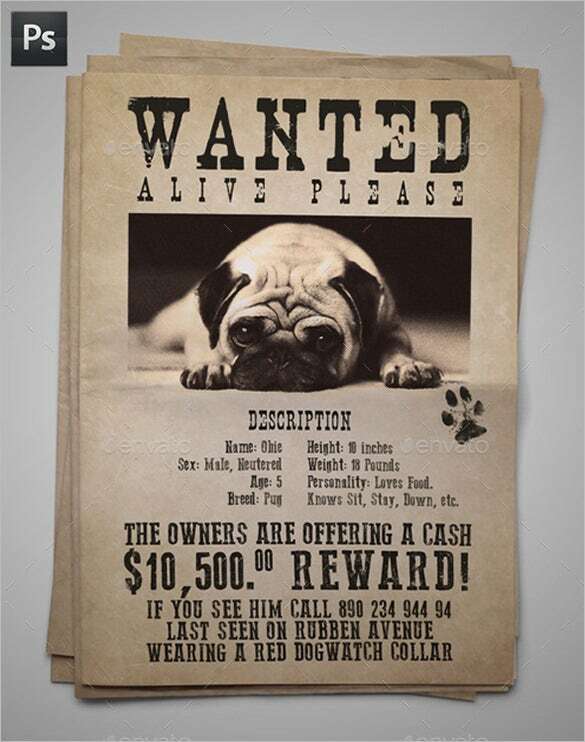 While owning a pet dog is a wonderful thing, it is also very unfortunate when the dog gets lost. 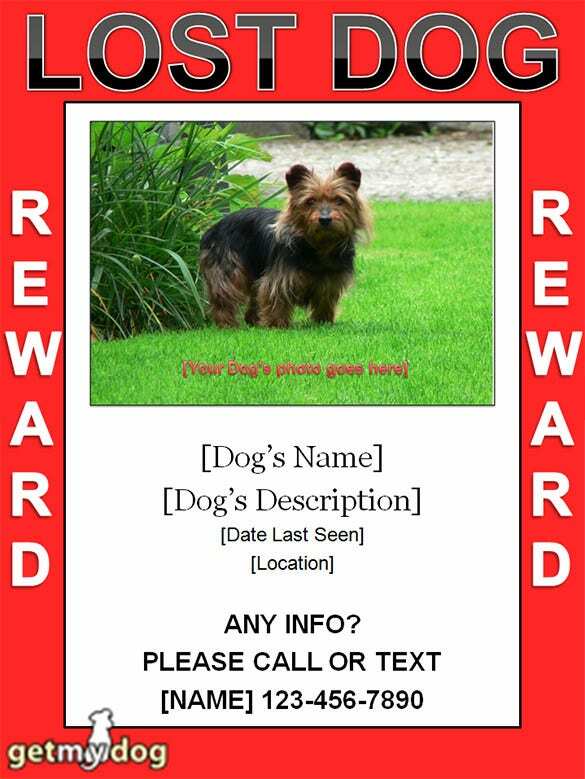 One of the best ways to track a lost pet dog is by making a lost dog flyer and distributing it far and wide. 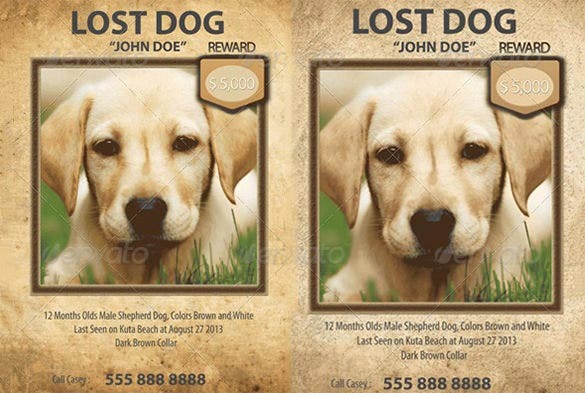 We have put together free lost dog templates which are easily downloadable and fully customizable. 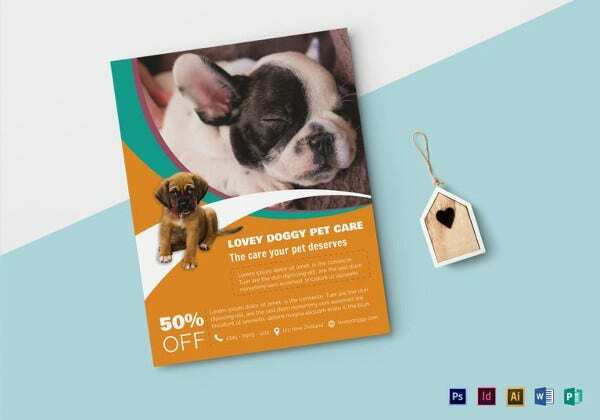 This is also useful to you Marketing Flyer Template. 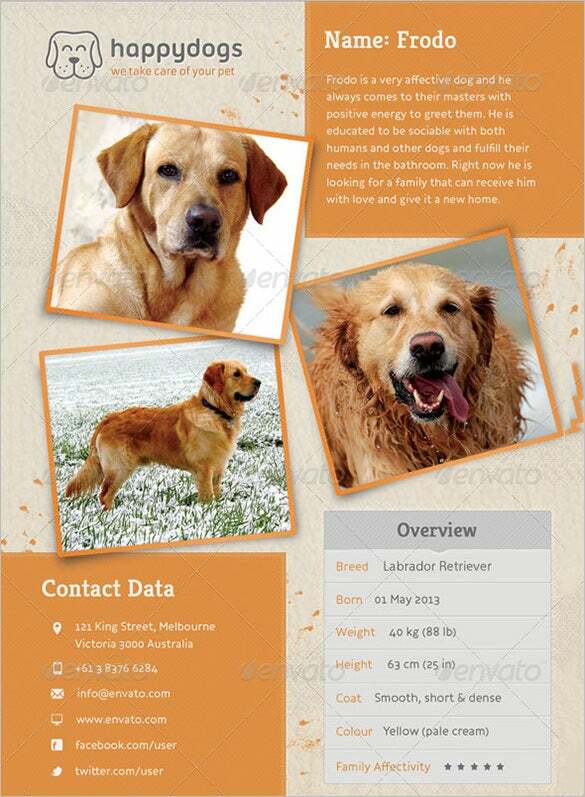 This no-nonsense lost dog flyer template offers you adequate space to upload a considerable picture of the pet with clear view and there is ample space below for the dog’s data and award & contact details. 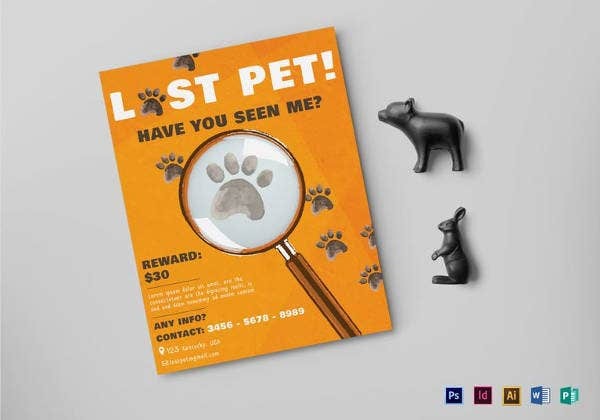 If you are looking to offer multiple pictures of your lost pet for an easy view from various angles, this is the template for you. You will separate places for each section of information. 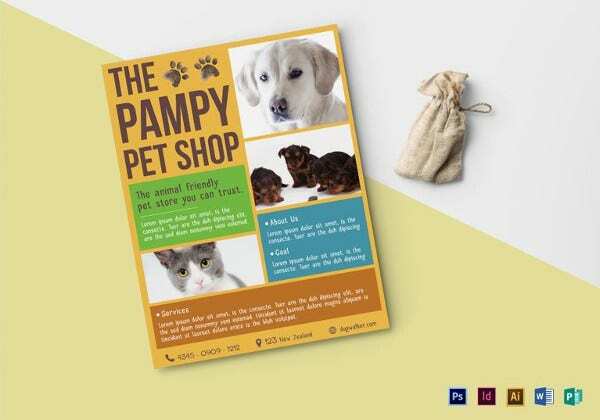 The red border on 4 sides of the template will make your flyer stand out from the scores of other flyers around. 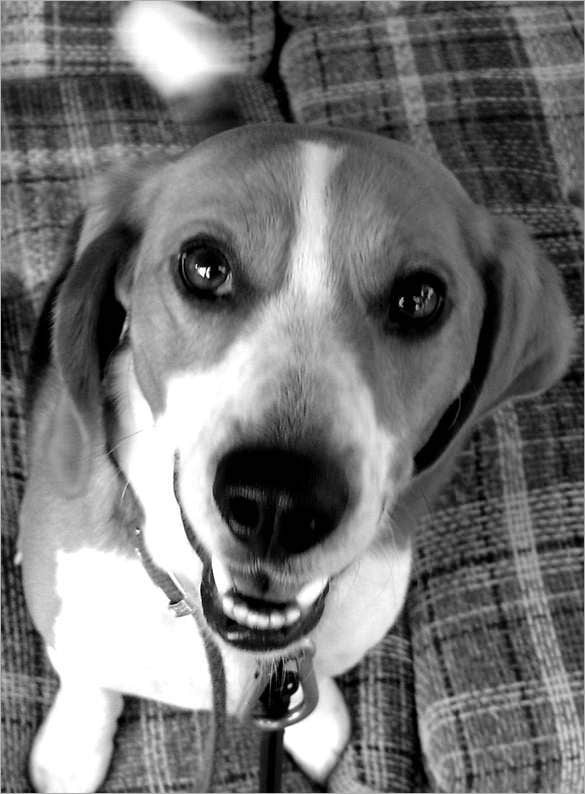 You are getting a sizeable space to offer the picture of your lost dog. 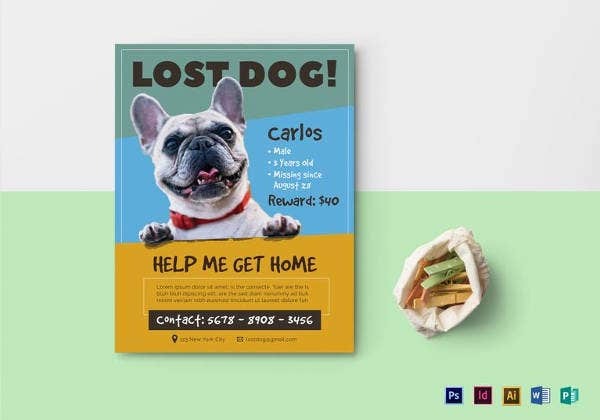 If you want to focus completely on the appearance of your lost dog so that it’s easier for people to identify the lost pet, this template is the best for your flyer -with its entire space dedicated for the pet’s picture only. 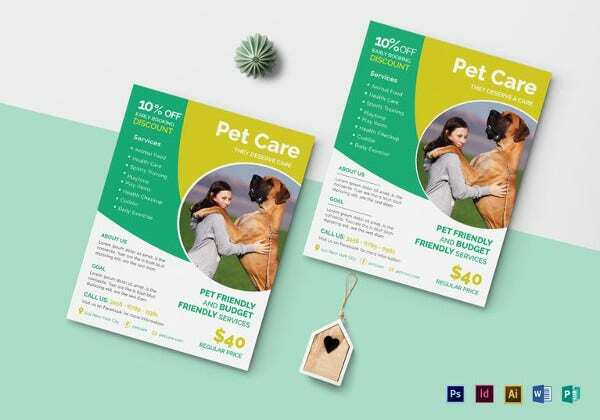 The template background looks soothing with its pleasant hay shade and you are getting adequate space to place the image of your lost pet. 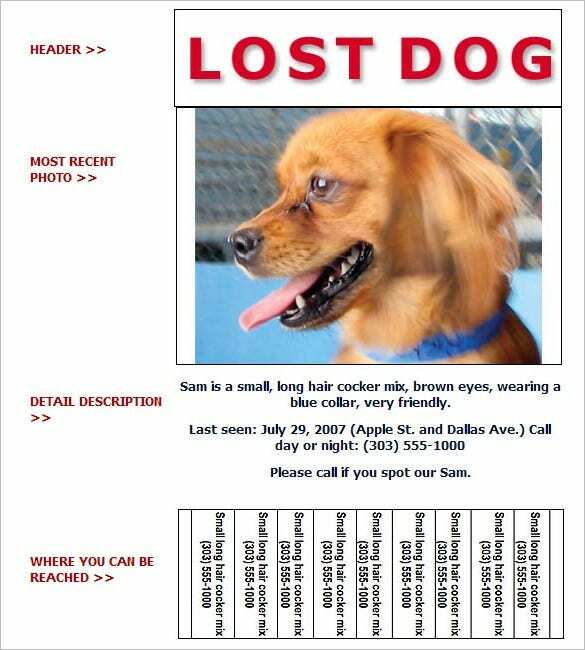 You can offer information about the dog and your contact details below the picture. 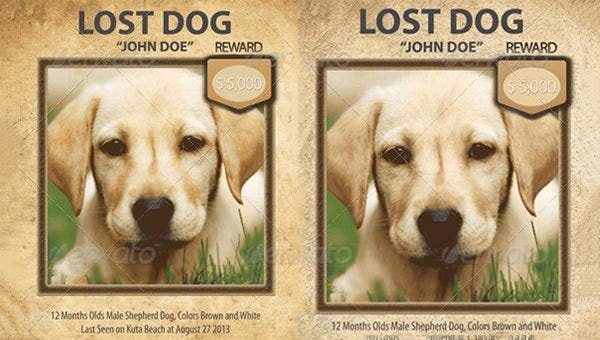 There are many options for adding the picture of the dog or even when you are filing a report of the missing dog, you can opt for template method that is effective and useful almost every time.